The finished facility, which opened in summer 2016, fulfills the promise of Unified Champion Schools. 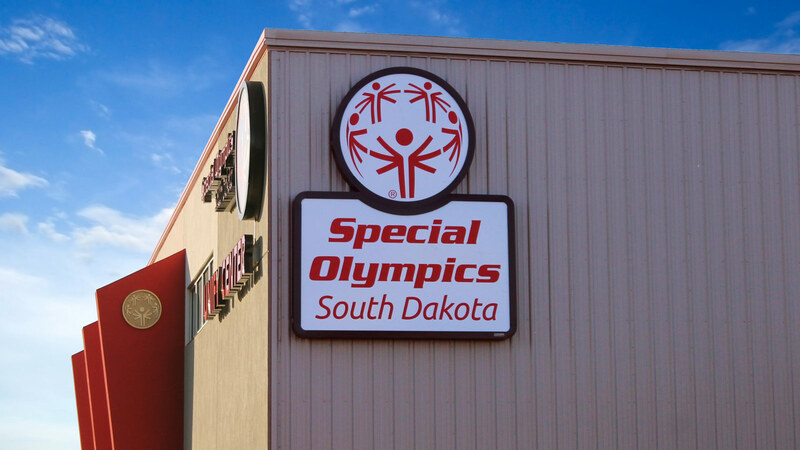 The nationwide program brings together athletes from Special Olympics and the larger community. 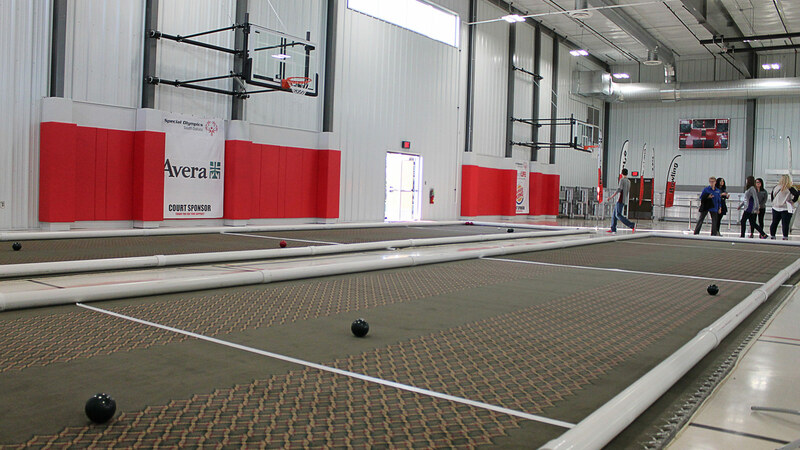 The program places people with and without disabilities on the same teams. 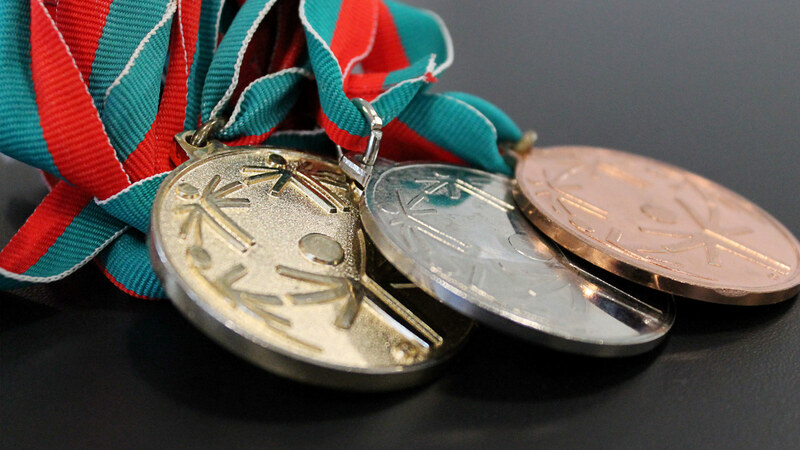 It uses sports as a backdrop to foster respect, inclusion, and advocacy for people with intellectual disabilities. These experiences boost confidence, helping participants build a positive self-image with each achievement. 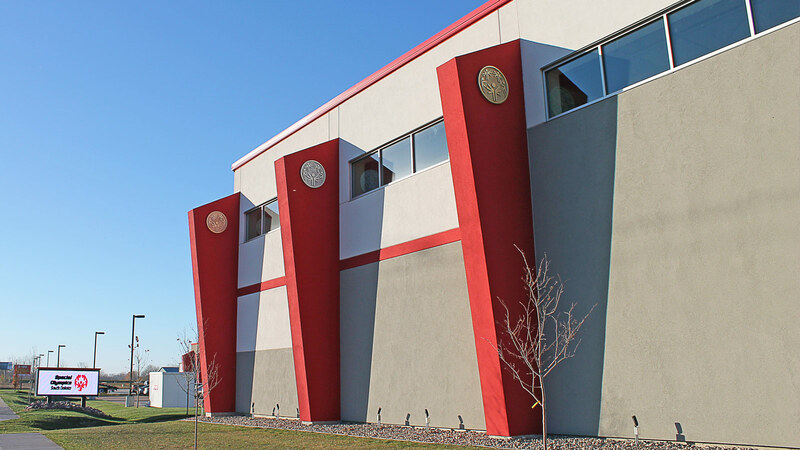 The Unify Center sits adjacent to the SOSD office building, on a highly visible site on the north side of Interstate 90. 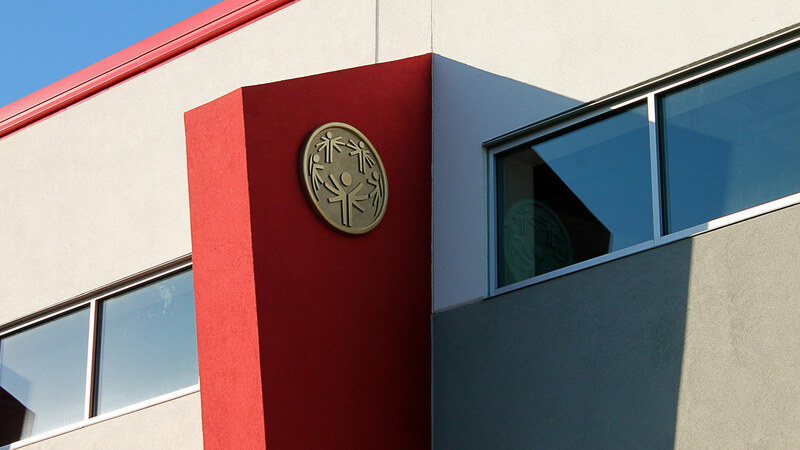 Its glass entry offers a glimpse of the activities within, while the exterior’s signature red “fins” and Special Olympics medallions tie to the organization’s most recognizable brand symbols. The site itself presented some challenges. When positioning the building and defining its footprint, our architects and engineers had to consider a significant utilities easement that runs through the property. 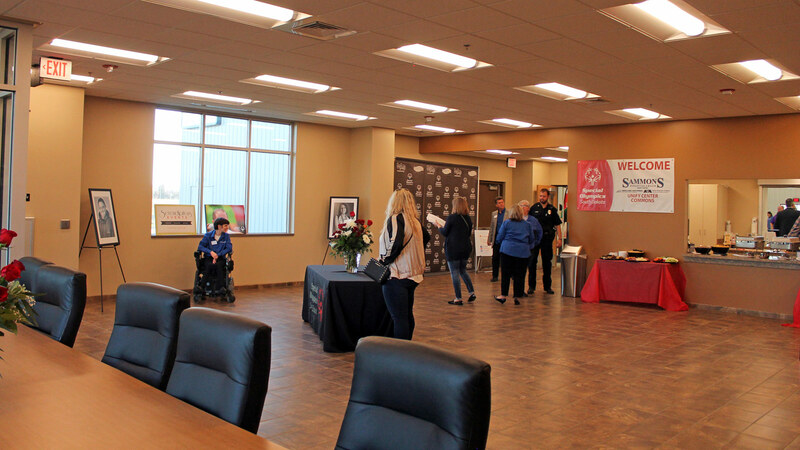 The facility opens directly to easily accessible parking that offers ample space for buses to turn around after safely dropping athletes off at the door. 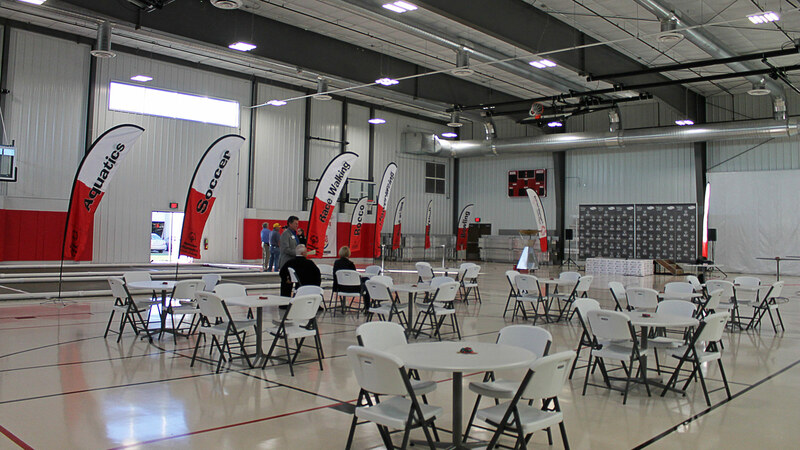 The Unify Center’s centerpiece is a full-size gymnasium space. Ceiling-mount hoops are adjustable by two feet so they can accommodate a wider range of player abilities. The facility includes accessible toilet rooms with showers, a concessions area, and a commons to host social gatherings or educational programming. The building truly is a multi-use facility, equally equipped for open-gym time, dances, and fundraising events. Lounge areas provide comfortable touch-down spaces between games or simply places to hang out in a community-center atmosphere.